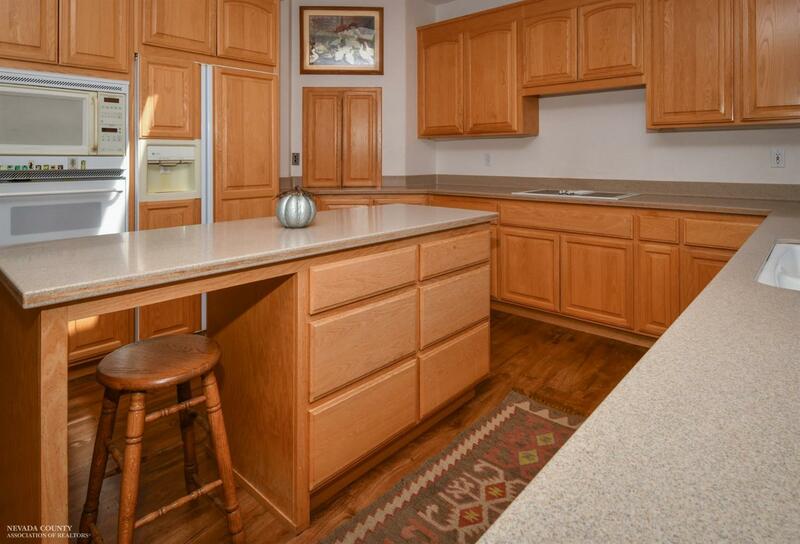 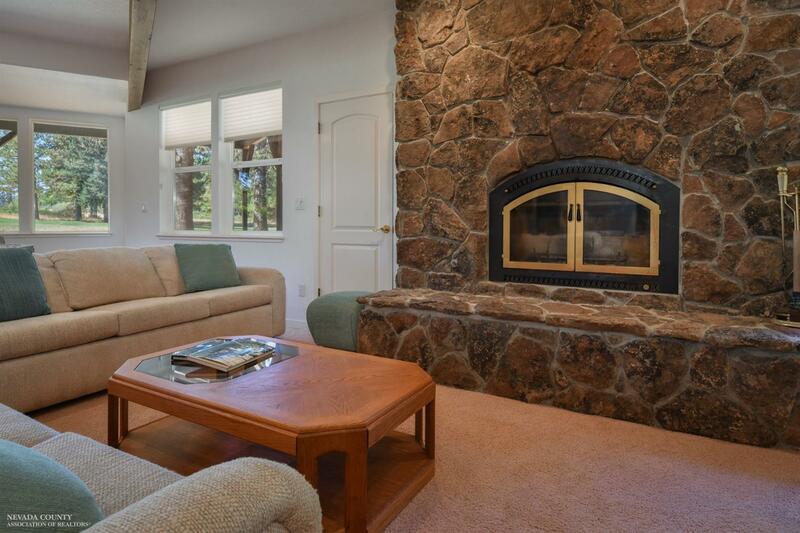 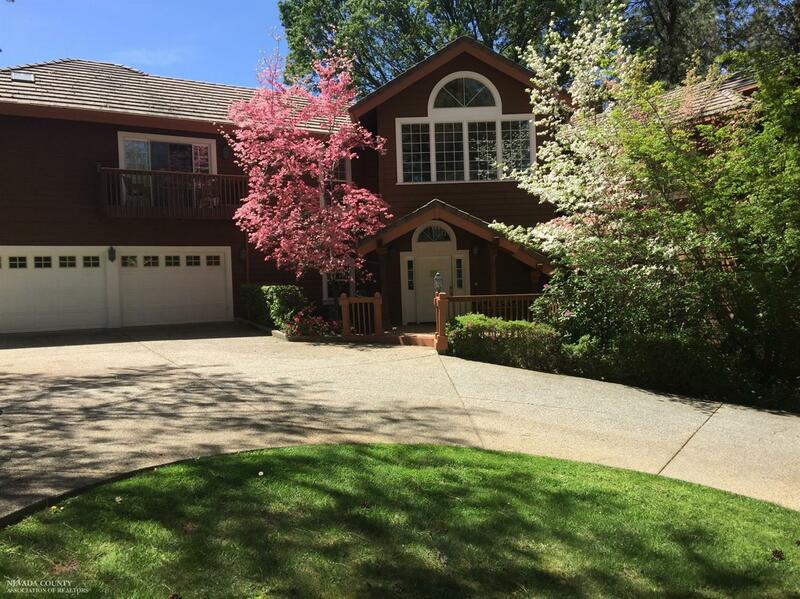 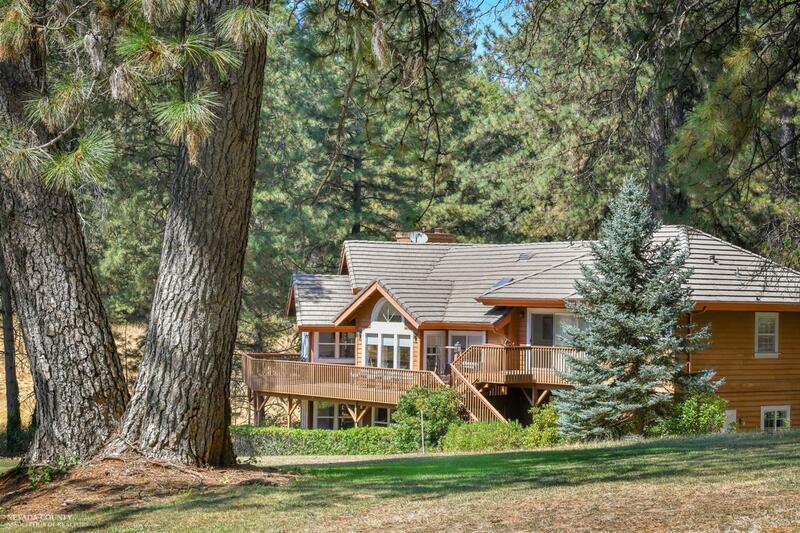 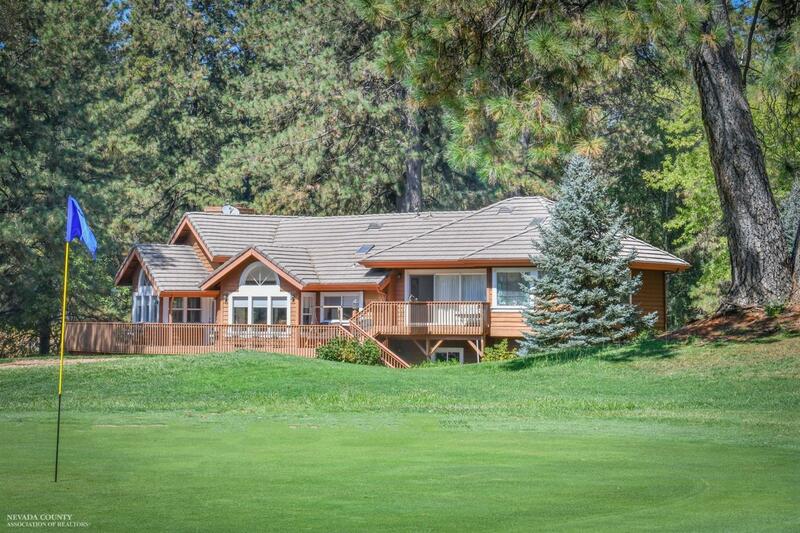 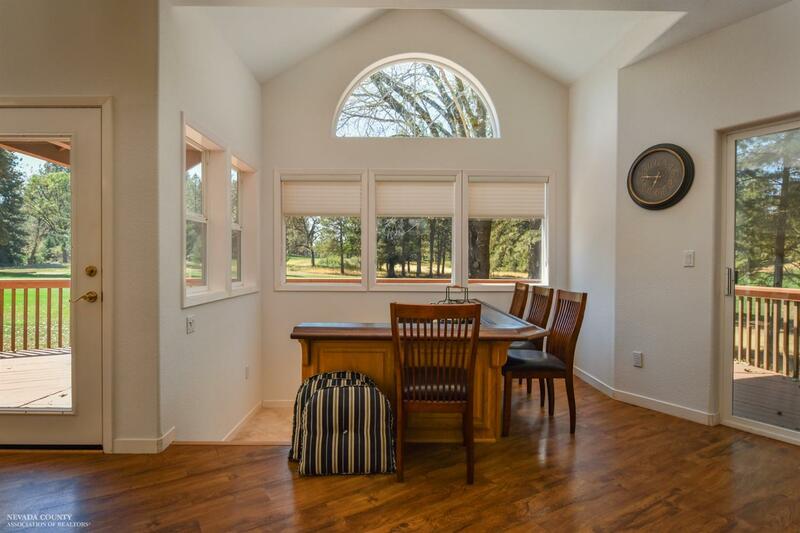 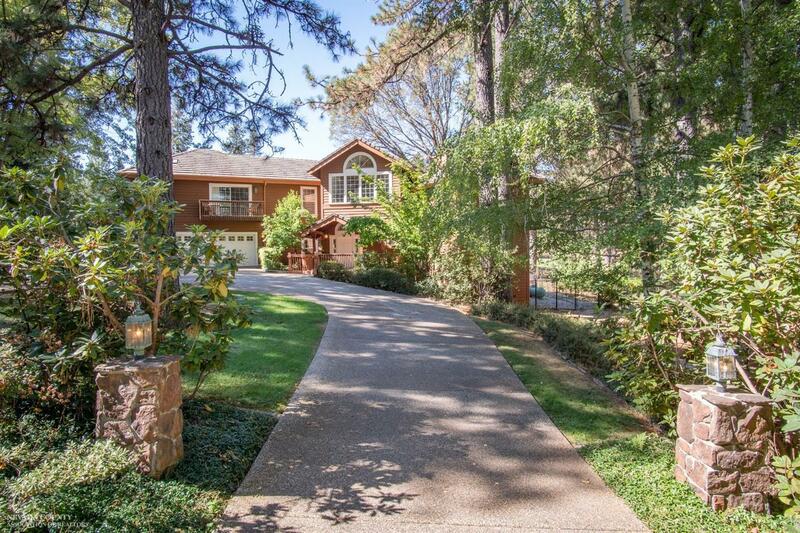 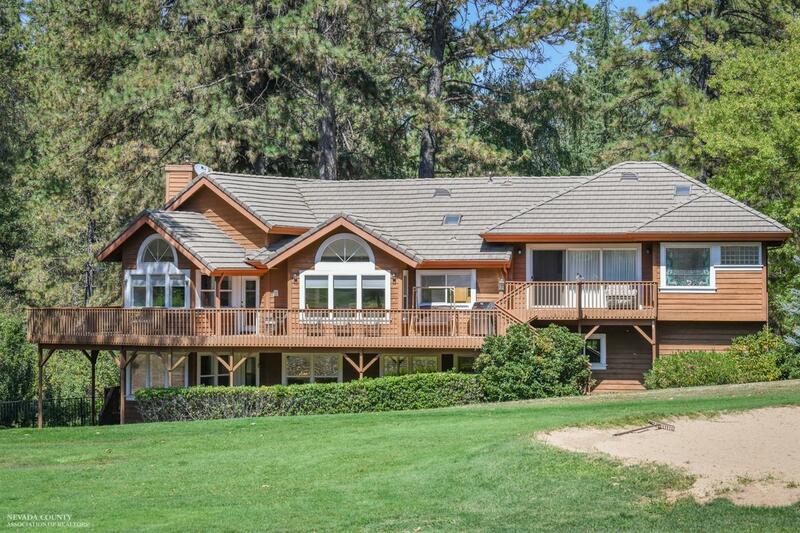 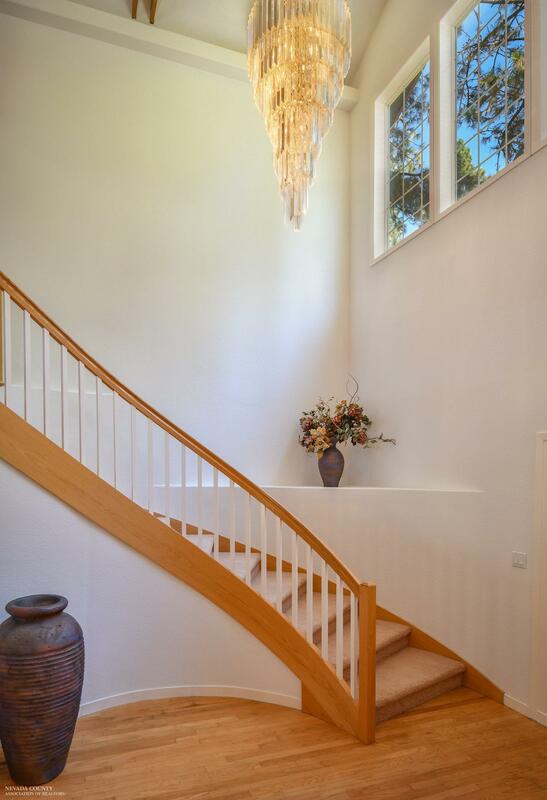 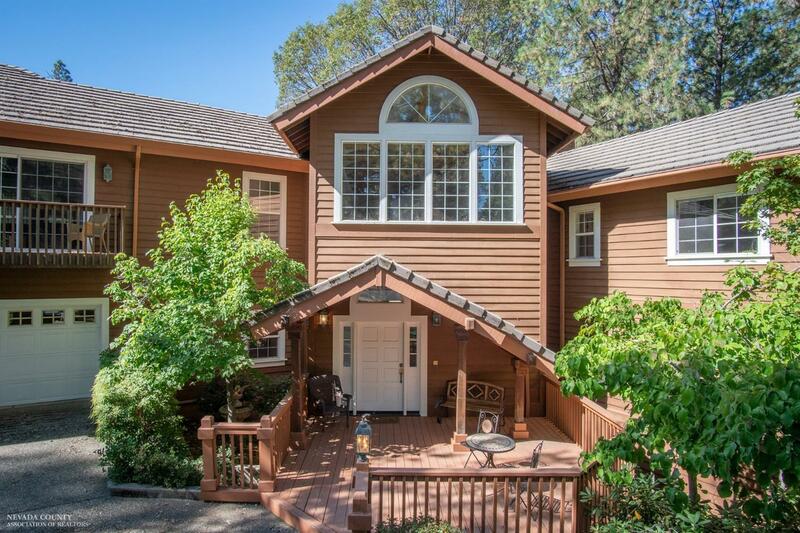 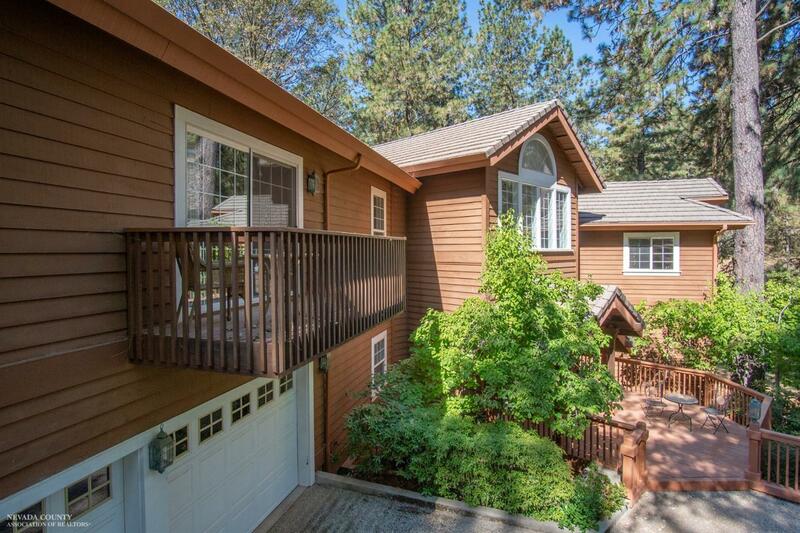 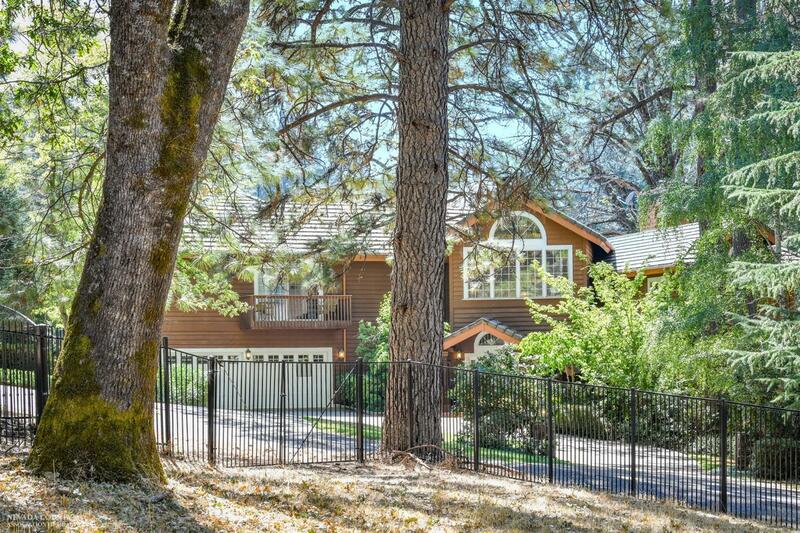 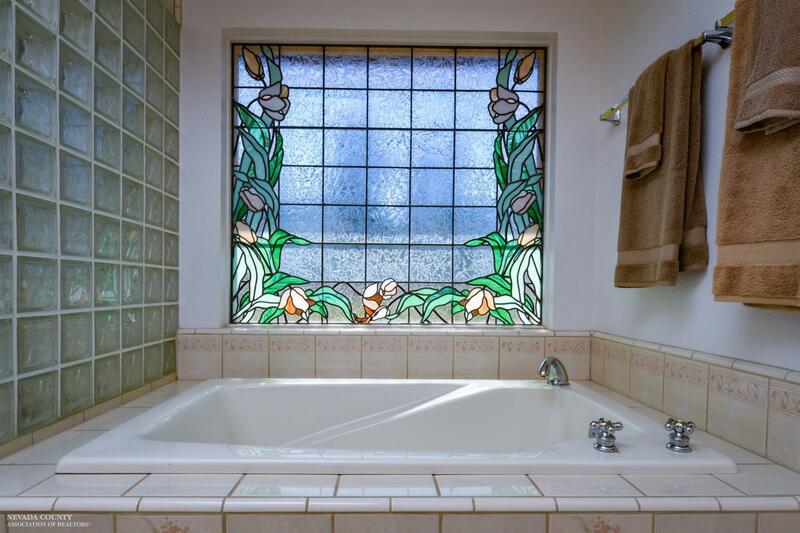 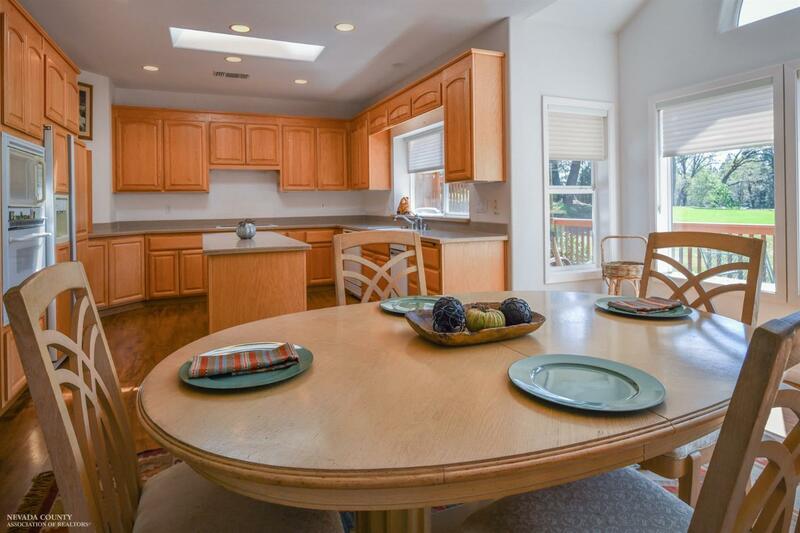 16887 Hangtree Road, Grass Valley, CA, 95949 - Photos, Videos & More! 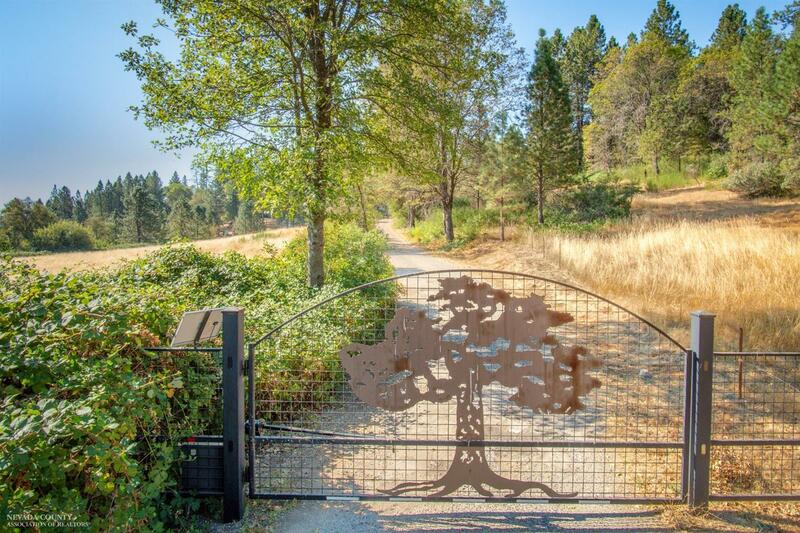 A wonderful opportunity to own a six acre country-estate on the Alta Sierra golf course surrounded by a conservation protection area and nearby walking trails. 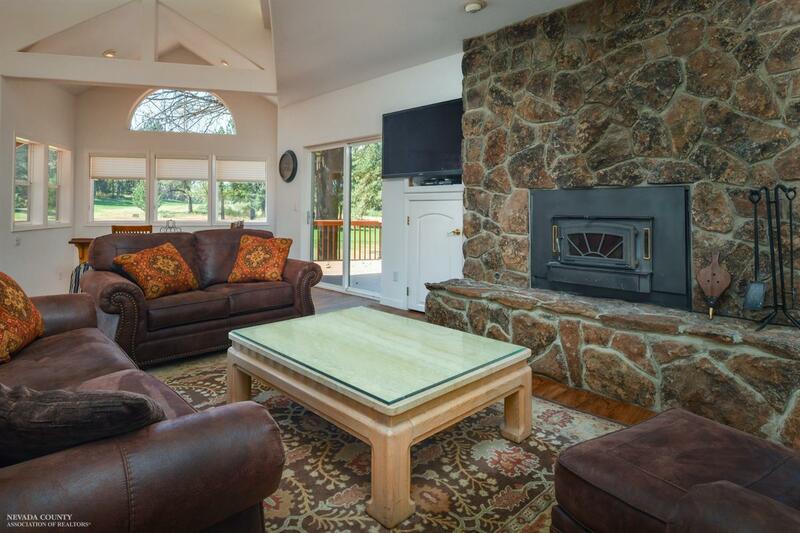 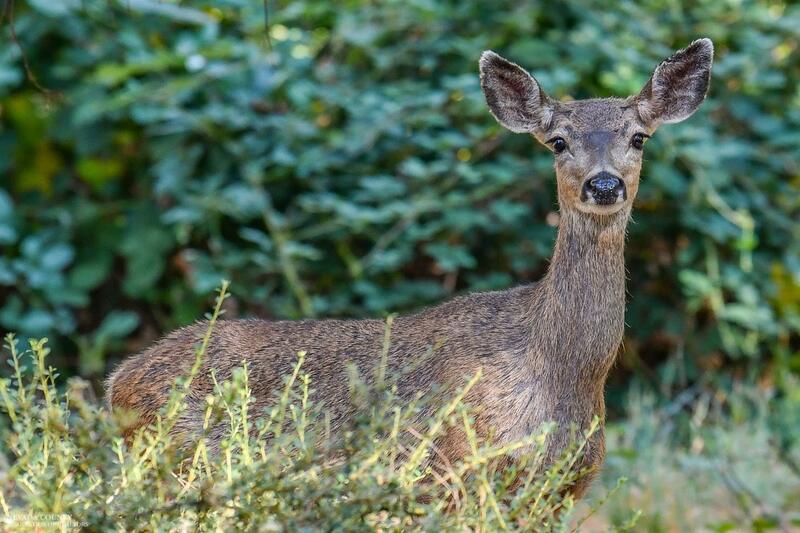 An entertainer's delight, or enjoy complete peace of mind among the wildlife. 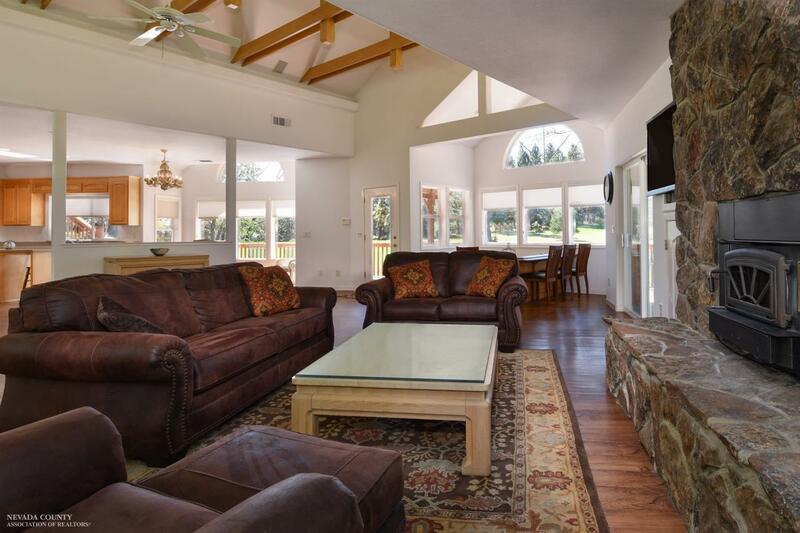 Inside this expansive home is a grand foyer entrance with a curved staircase, high vaulted beam ceilings and dramatic views through large picture widows. 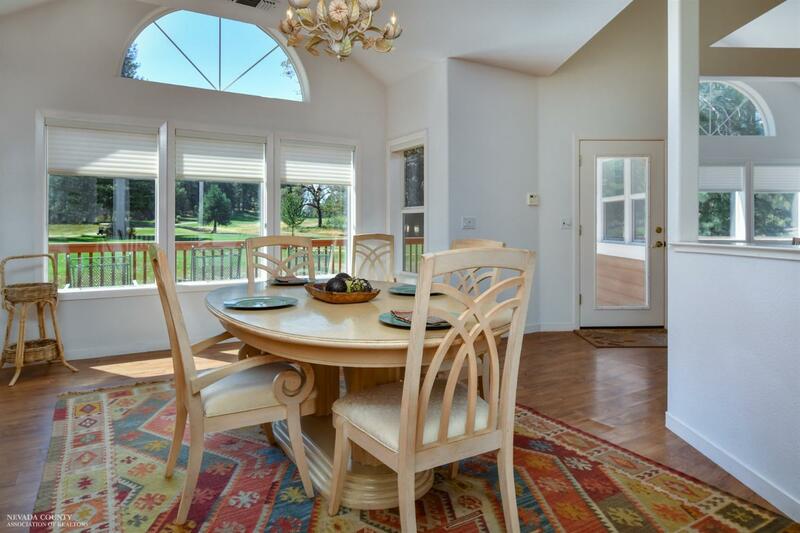 The Great Room, kitchen and sunken wine bar look over the 5th fairway & green. 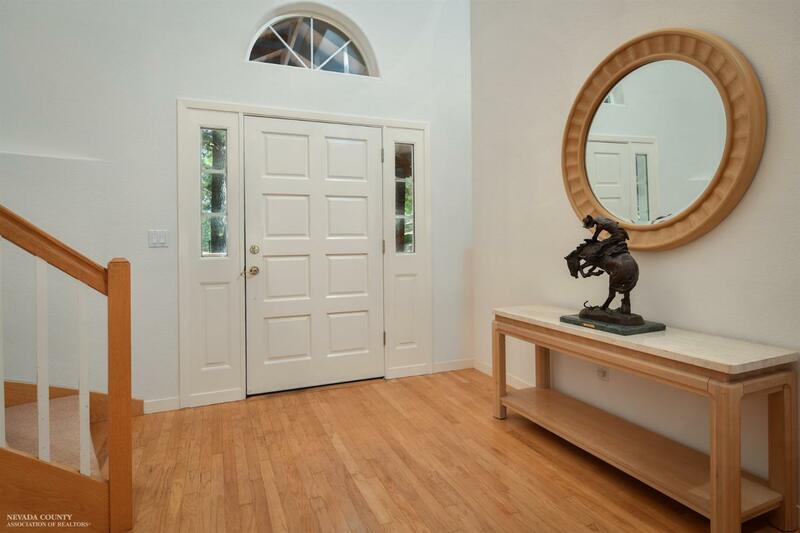 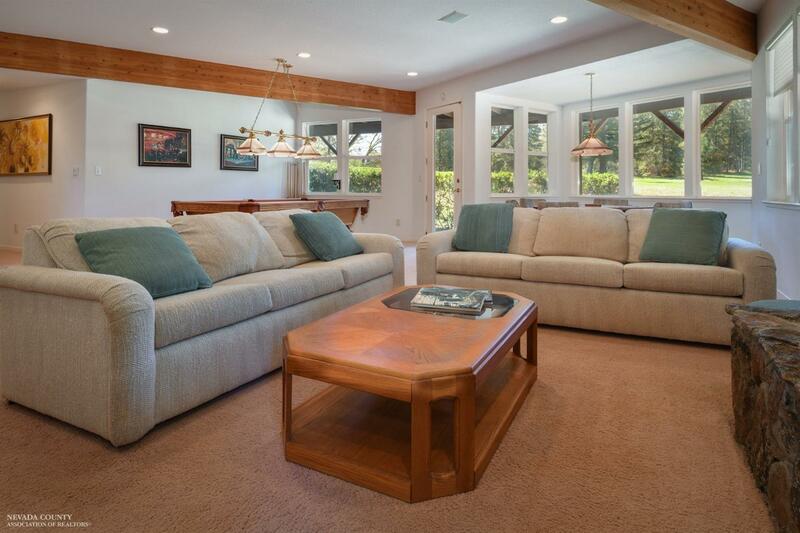 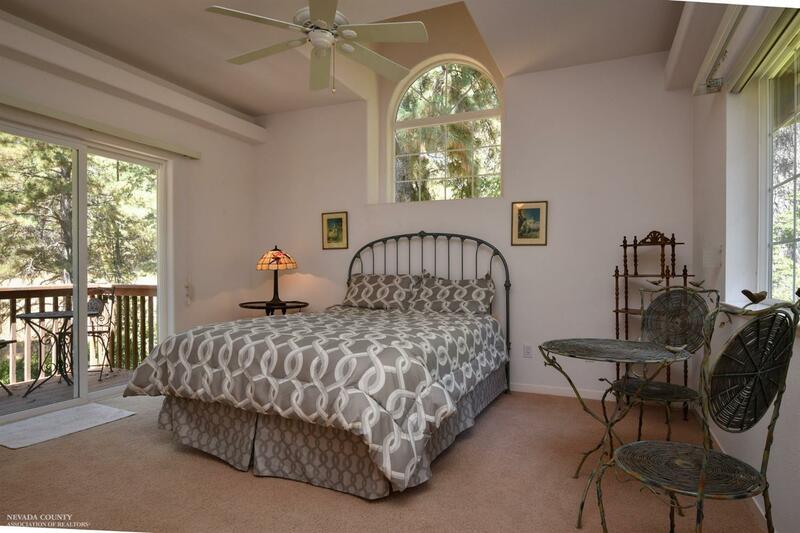 The large master bedroom embraces sunrises from a front balcony or sunsets off the back deck. 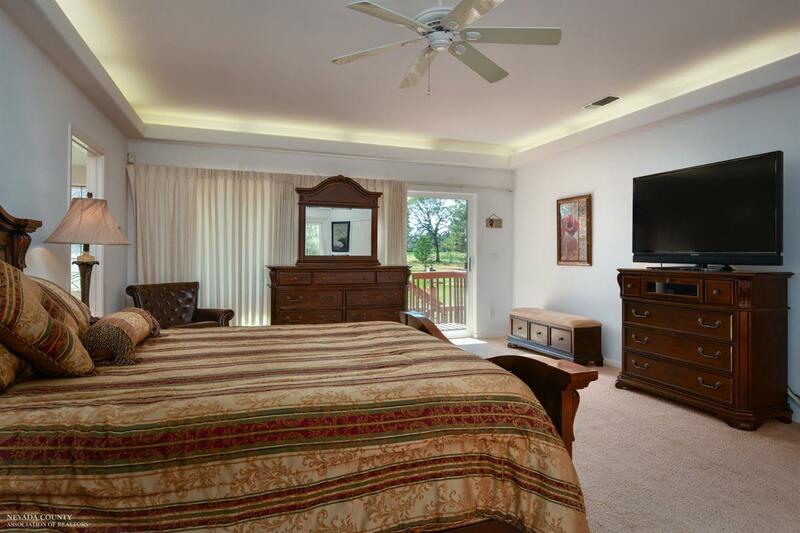 A separate bedroom suite with a balcony is nicely placed on the opposite side of the main living area. 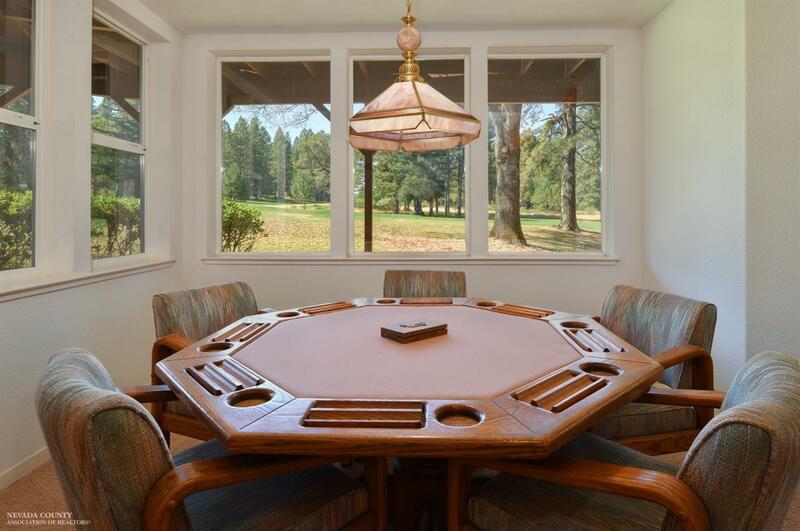 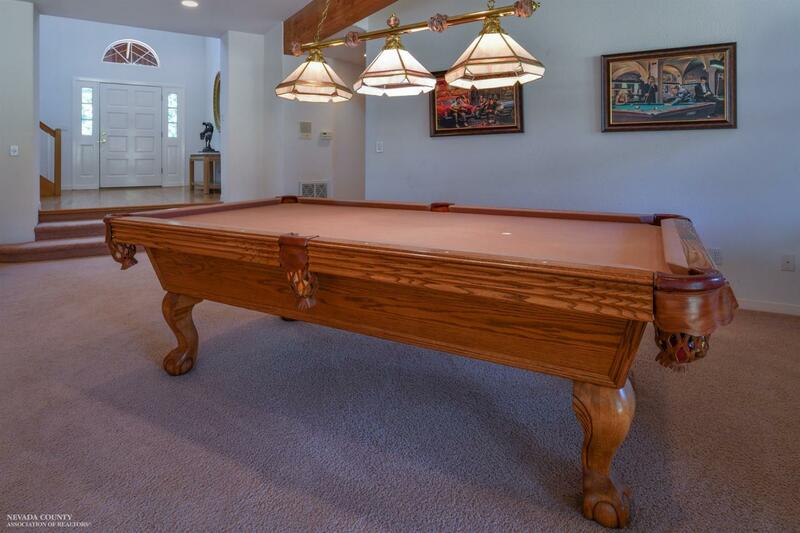 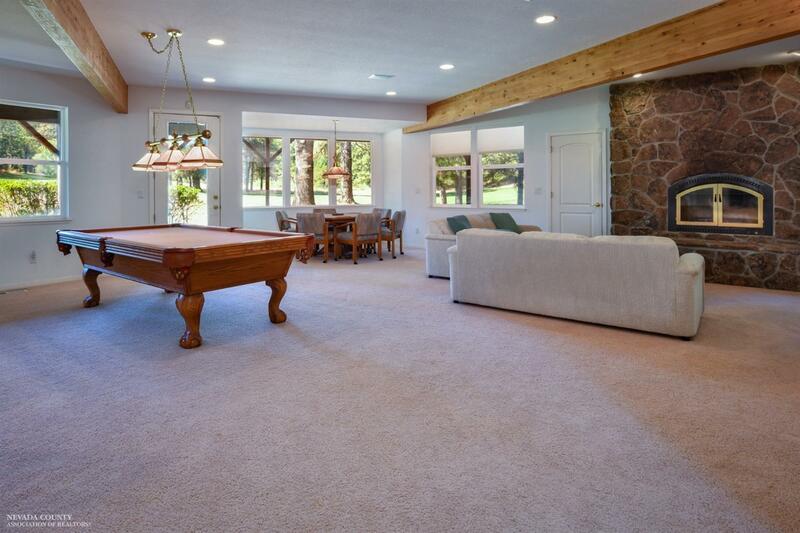 Downstairs is a perfect game room for playing poker, a game of pool or used as a separate guest area with a private bedroom and bath. 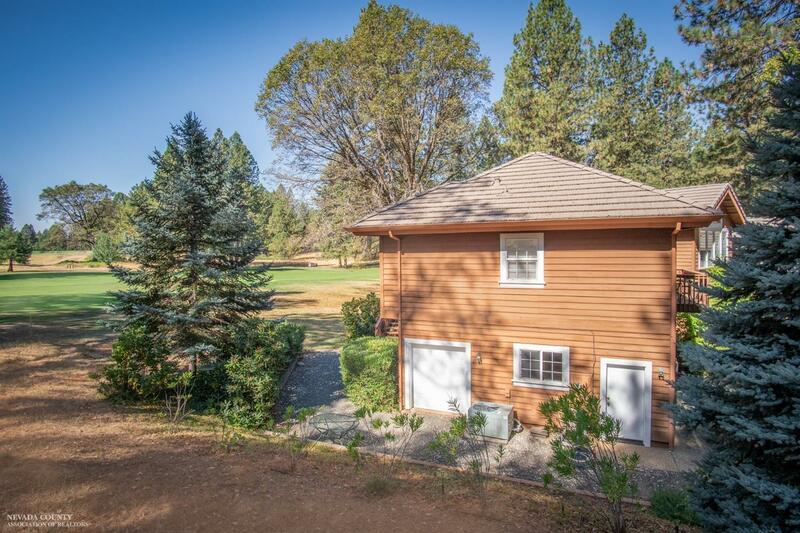 Golf cart parking has easy access to the green from the over-sized garage. 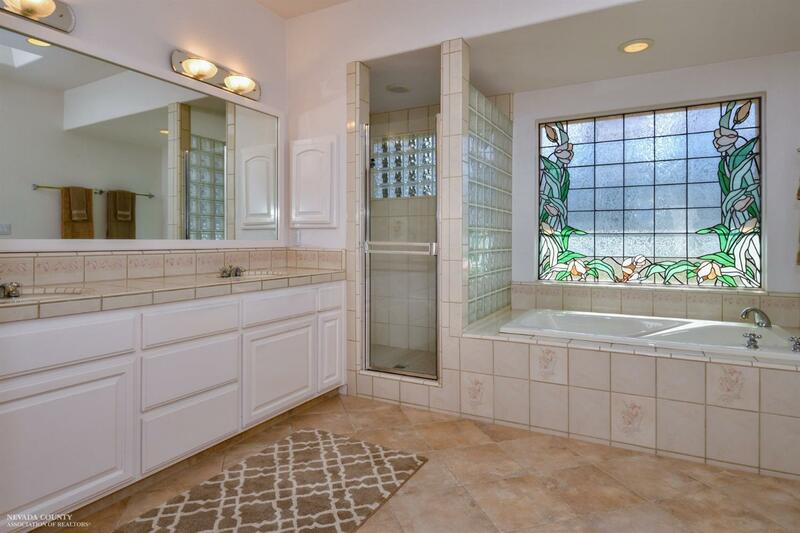 Only 8 minutes to town. 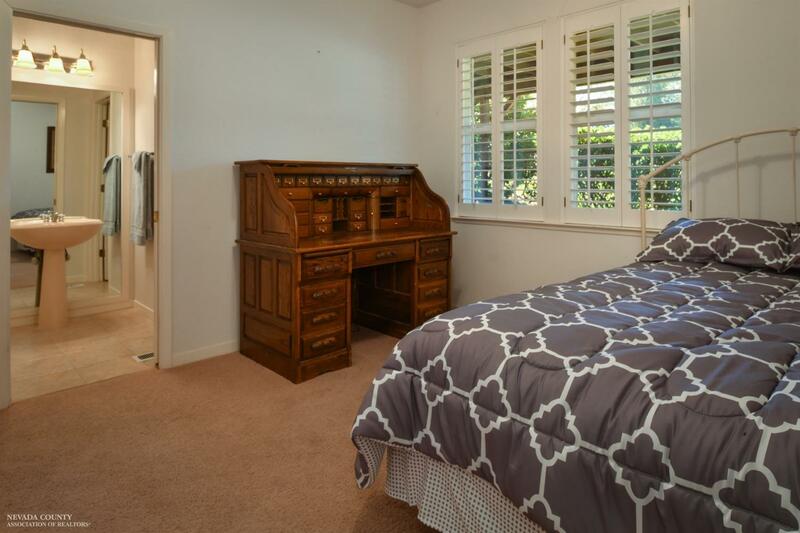 Room for your RV. 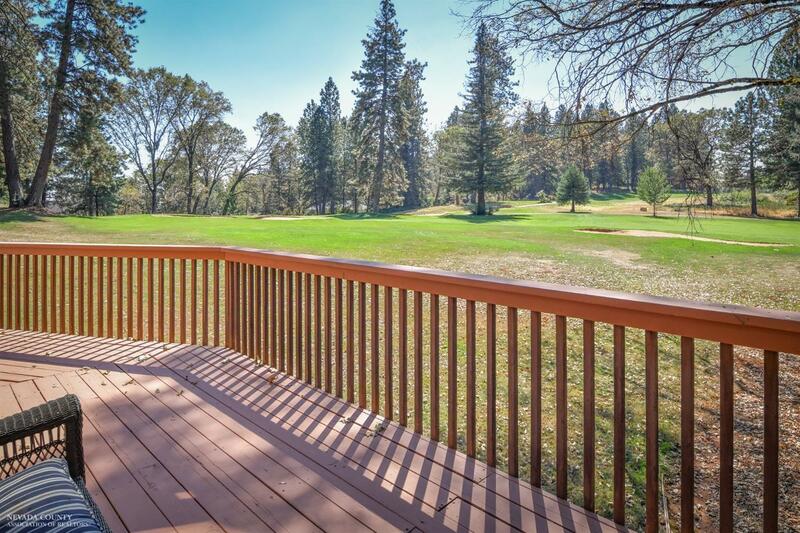 Could easily have a small vineyard or a couple of horses.